Aerodrome Spilve, previous names - Spilve Air Port or Air Port of Riga (1928-1940), later the Riga Central Airport, was the main airport of Riga city until the new airport "Riga" was commissioned in 1975, and it still retains its role in Latvian aviation. Now Spilve supports mainly private and training flights. Currently, airfield may be used for aircraft with maximum take-off weight of 5.7 tons. 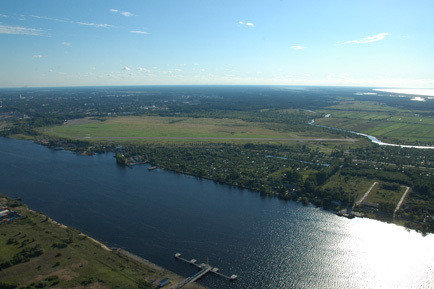 Aerodrome is located in Riga, on the left bank of Daugava River, in Spilve meadows, near Iļģuciems.